We believe that patients, with their expertise and understanding of their own needs, are the primary member of the health care team. We keep you fully involved at all stages of your care. We deal quickly with your questions, problems and concerns, and keep you fully informed about options and choices. Our highly trained care team can devote individualized attention to you and your family. You’ll be cared for by a team of health-care professionals in a hospital whose staff is dedicated to providing you with excellent care and helping you be as comfortable as possible while you are here. A hospital-based program that is a comprehensive in-patient program for the individual who has had an acute medical or surgical event as a result of an illness, injury or exacerbation of a disease process. 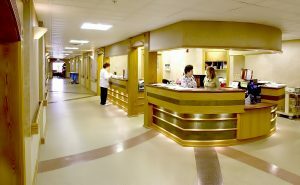 The quality program, close to home, offers an outcome-focused interdisciplinary approach made up of the patient, family and utilizes a professional team including physicians, nurses, therapist, dietician and respiratory therapists as needed to deliver clinical interventions (medical and/or rehabilitation). The program is usually short term with the goal to improve and return to a more independent setting, typical home, or to a lower level of care hence decreasing the long-term cost to both the patient and/or the payor. Why Choose Transitional Care at Orleans Community Health? Care Managers help assess patient care needs that are present on admission or that may surface during hospitalization. Care Managers in the hospital are Registered Nurses. Your Care Manager will help facilitate your care with the other members of the health care team. Care Managers are available to help patients with any questions or concerns during and after their hospitalization. Your Care Manager can help you plan for visiting nurse services, nursing home placement, special equipment, or other follow-up services.